There are big words and big sciences being discussed on this tee and I don’t understand any of it. 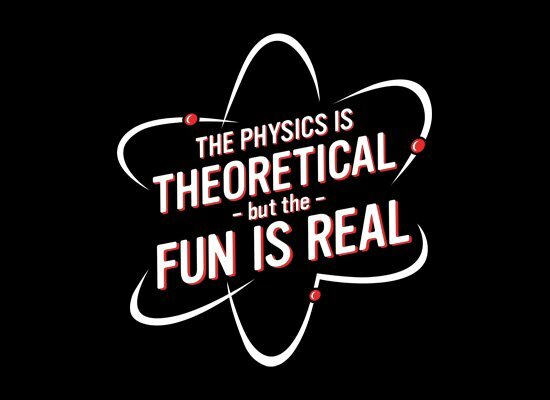 I guess maybe the physicists could vouch for solving problems on paper but having a hell of a time doing it. I picture lab coats and formulas, theorems, angles, and maybe a tape measure. Now, that I type it, that does sound like a load of fun.